Sometimes it’s all about who you know. And lucky for Louis, he doesn’t even have to look beyond his family. Louis recently partnered with his daughter-in-law on a couple of Dallas investment property deals. With her experience and his financing, they are quite the team. Louis still works full-time but has plans to continue investing when retired. Frankly, he just enjoys it too much not to. That’s how he knows real estate investing is for him. Louis has already figured out the financing strategy that works best for him. Having a joint venture partner is certainly beneficial for Louis and he’s adamant about having an official joint venture contract. Especially since he is working with family, he wants to make sure the agreement is well documented. This way, each partner’s role is specifically outlined and the profit split is clear. On Louis’s most recent flip, it looks like the ARV is even higher than what was originally estimated. Louis can’t wait to see the final profit from this deal! NOTE: Since Louis is a Premium Elite member, he received a FULL refund of his up-front membership fee for simply doing a deal! Find out more about Premium Elite Membership here. I saw an advertisement for a class that was being taught by a successful real estate investor. I was interested in it so I checked it out. My oldest son and his wife, who is my business partner, were already investing for about a year before I started. However, they were doing rentals, not flips. I convinced my oldest son to attend the class with me and they got interested in flipping. What made you want to get into real estate investing? I will be retiring in a few years and I don’t want to sit back and do nothing. A lot of the businesses I was looking to buy into required me to have a high rate of attendance. I would always have to be there and attend to things constantly. Real estate investing gives me an opportunity to do as many or as few deals as I want. Having that flexibility just draws an excitement out of me. What was the first deal you ever did? The first deal I bought before using MyHouseDeals was close to downtown Dallas. The house was bought through a wholesaler my daughter-in-law knew. The problem I had with that property was the current renter was getting ready to move out because the lease was up. While that was going on, I went on MyHouseDeals and quickly moved on that deal because it was in a great area. I jumped on that deal real quick. What were you looking for in a deal? I was looking for a deal that made sense. I wanted a property in areas that had low days on market. Low days on market is a good thing from an investment standpoint. I was also looking for really distressed properties. Some of the properties weren’t nearly as distressed and the prices were too high. This made the return on investment pretty low. I sent my daughter-in-law to check out the house I’m working on now and it was perfect. It met all the criteria. What are some of your other criteria for a deal? The area is a big one because I want an area where I can turn the houses around pretty quick. 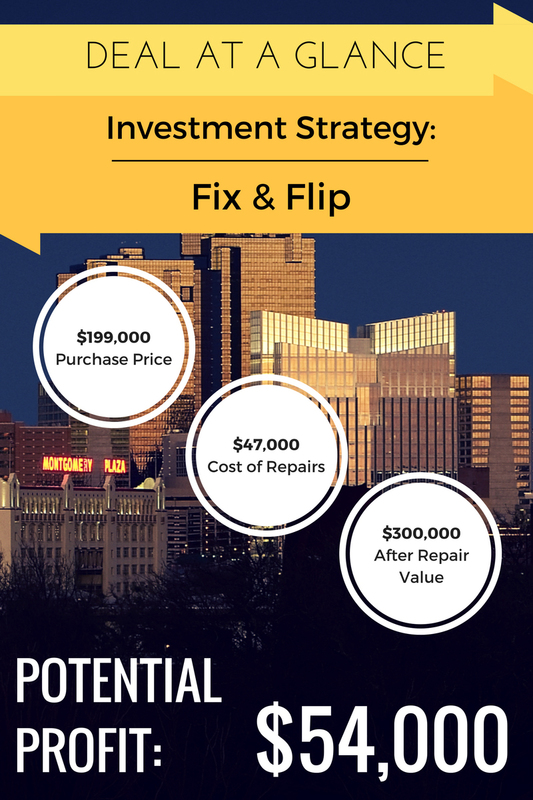 Here’s an example… I was told to invest in a property in Fort Worth and I opted out. It turned out to be a good thing because the property just stood on the market for almost three months before getting an offer. That is just too slow of a turnaround time. I am in the process of building an investment portfolio. If you’re held up for three months at a time, you’re going to miss out on a lot of deals. I financed the deal using a hard money lender. Why did you decide to go that route? It frees up my money for other investments. I was able to buy a house with the money from my lender and then this property came along. I ended up financing both properties through the same hard money lender. Do you plan to finance all your deals with hard money? If it’s the quickest option, yes. I don’t like tying up my own resources. Hard money allows me to get into multiple deals. My company bought out my retirement account years ago, and the money wasn’t really doing anything. I had it moved into self-directed retirement account where I can control it. This is the money I used to buy this deal. Were the numbers accurate for this deal? The numbers were just slightly off. I think it was about $1,500 off and that wasn’t a deal breaker since it was pretty close. The sellers are trying to make money themselves. The money had to get adjusted eventually because the tenant was still living there. The house was in horrible shape when I got there and these people were living it. We threw in an additional thousand dollars on the table to move them out. Why did the previous owner not work on the house? The house was inherited from their parents. They have lived in this house for years and just had the run of it. It’s completely gutted right now. We gutted the entire thing. The only thing that’s intact are the frames of the kitchen cabinets. Everything else is gone. Are you still in the process of flipping it now? Yes, we’re in the process of rehabbing it right now. Have you had any surprises? The cabinets are a little more expensive than I anticipated, but it’s worth it. The biggest surprise is that we planned on flipping this property for about $30,000 profit. Then we got word back from the real estate agent that someone down the road put a contract on a house that was worth a heck of a lot more. The house wasn’t even rehabbed! Now I’m excited to no end that the ARV is going to be higher than what we thought. We also had some awful surprises in the beginning. The inspector said that the house didn’t need a new roof. The roofer came in and tried to convince us to get a roof. We told the roofer to talk to the inspector and see if there were any differences in his opinion. That situation got resolved and we didn’t need a new roof but we had to do some minor repairs on it. How are you going to make sure the house sells quickly? My neighborhood about an hour and half away from where it’s at and so like I said, I partnered with my daughter-in-law. I do the money part of it, she does all the groundwork. Then we split the profits. 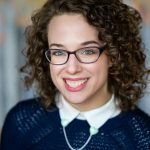 Do you have any advice for people who are looking to work with a partner? Even though she’s my daughter-in-law, we did a joint venture contract on everything. That way there is no question as to who is going to get paid and what amount. The one thing that can drive a family apart is money, so we lined everything out. I’m still working full-time and I have a younger son who is in college. Real estate investing and having this partnership allows me to stay employed. What do you include in the contract? Exactly what we spell out. I put in that I’m going to supply the money and take responsibility for the money decisions. Then that money is going to supply all the legwork such as finding the contractors, making sure they are on time, and paying the contractors. Everything we need is all described in the contract. It is a very basic agreement that you can find online. We just fill in the spots. Especially the payment part. We agreed to split the profits 50/50. You really have to trust who you are dealing with. She doesn’t shortcut anything. She keeps things within budget. However, if we know that something will bring a little more value to the house, we are willing to spend a little bit more money on it. Are you looking for your next property now? This deal was just testing out my feet in the water type of thing. I don’t want to jump into the deep end just yet. I just want to stay in the shallow end and slowly get into the deep end. I’m yielding with caution. How have you built up your investing education? I just went to that class. The class was in Dallas for three days and Fort Worth for one afternoon. For the Dallas class, we went into things a little deeper. How many years do you think it will be until you retire? I just recently changed jobs. At my old job I was a supervisor for a support group and it was a pretty hectic and demanding job. I’m 63 going on 64 and I just did not want that. I wanted something different. Now I’m a consulting analyst and I do a lot of analytical work. It has taken a lot of stress off of me. My son won’t be out of college for another two years and I wanted another year to gain some money back and just put some cash into my account. It looks like it might be another five years until I retire unless we start popping deal after deal and having really good times. If you have the passion, go for it. I was scared to death when I started. I was very fortunate to have my daughter-in-law working with me. She is a champion. Just follow your passion if you think that’s what you want. When I talk about investing, I get excited! I’m cautious but excited. Just take your time getting into it and just watch out for yourself. I suggest that new investors partner up with people in the beginning. Make sure to partner up with someone who has experience too. Last but not least, don’t be afraid to give up some profits to get your confidence up because one day you will have to go out and do this on your own. What was the turning point that made you finally become an investor? The turning point was actually going out and seeing the properties and then seeing the comps in the MLS for the area. It validated my hopes that the investment was going to be good. We had a contractor walk the house with us and we built a budget. We figured out the break even point. You have to know exactly where you are at financially. You don’t want to go in making decisions based on guesses. I won’t make decisions unless I have numbers directly in front of me because it’s a lot of money. 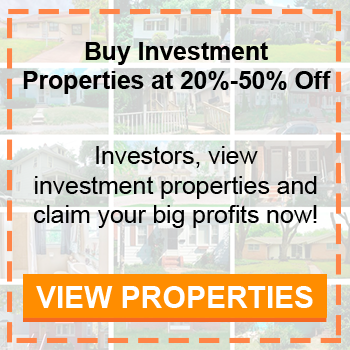 I have close to $350,000 out right now in investments on two places. This is not something I take lightly. Do you want to add anything else before we wrap up? I have to say, I got really fortunate with the way things worked out. During the class, they talked about how to look for properties. I went online and I searched “wholesale deals” and your site popped up. I found it interesting so I visited the site several times.